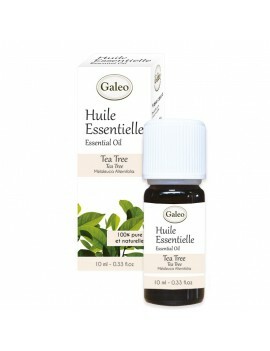 Essential oil 100% pure and natural. Properties / Benefits : - Stimulates the body’s natural defences - Breathing problems - Problem skin - Anti-viral - Stomach complaints - Relieves insect bites - Anti-infection - Anti-fungal ls guide, by Alina and Christophe Moyon, pharmacy doctors. Essential Oils Guide 72 pages, written by Alina and Christophe Moyon, Doctors in pharmacy. Hand cream 75 ml with organic aloe vera. Aloe vera is known for its moisturising and soothing properties. Thanks to a formula combining organic aloe vera and organic shea butter, this cream brings comfort to the hands, rounded off with a delicate fragrance. Reed Diffuser 100 ml White Tea. This Grasse scents Reed Diffuser will fragrance your home delicately and tastefully. This gift set contains :An empty 100 ml bottle to refill with 100 ml refill included, 10 x 23 cm reed sticks. Reed Diffuser 100 ml Cashmere Wood. This Grasse scents Reed Diffuser will fragrance your home delicately and tastefully. This gift set contains :An empty 100 ml bottle to refill with 100 ml refill included, 10 x 23 cm reed sticks. Refill 200ml scented White Tea + 10 reed sticks for Reed Diffuser. Refill 200ml scented Cashmere Wood + 10 reed sticks for Reed Diffuser. Scented Oil Cotton Voile 15 ml. Scented Oil White Tea 15 ml. Scented Oil Cashmere Wood 15 ml. Scented Oil Velvet Iris 15 ml. Scented Oil Lotus Flower 15 ml. Scented Oil Neroli and Musk 15 ml. Face cream 50 ml with organic donkey milk. This cream contains organic donkey milk, known for centuries for its many benefits. Its hydrating and regenerative properties come from its composition of minerals, fatty acids and vitamins. Also containing a combination of organic shea butter, organic safflower oil and organic jojoba oil, this cream offers the ideal nourishing formula for your face. Face cream 50 ml with organic aloe vera. This cream contains organic aloe vera, known for its moisturising and soothing properties. Also containing a combination of organic shea butter, organic safflower oil and organic jojoba oil, this cream offers the ideal nourishing formula for your face. Face cream 50 ml with organic lavender. This cream contains organic lavender, known for its soothing and relaxing properties. Also containing a combination of organic shea butter, organic safflower oil and organic jojoba oil, this cream offers the ideal nourishing formula for your face.